China Power has been actively expanding its power generation service business while accelerating the development of its heat supply segment in order to diversify sources of income. The results of these efforts have been satisfactory. Since the beginning of 2017, Wuhu Electric (Wuhu Electric Power Generating Company Limited) (“Wuhu Electric”), a China Power’s subsidiary, has begun supplying heat to the Wuhu Economic Development Zone. Since then, the Company has continued to expand its heat supply coverage, with an aim to expand its overall market share. By the end of 2018, the Company expects to supply heat to nine institutional users with an average new heat supply capacity of nearly 50 tonnes per hour. 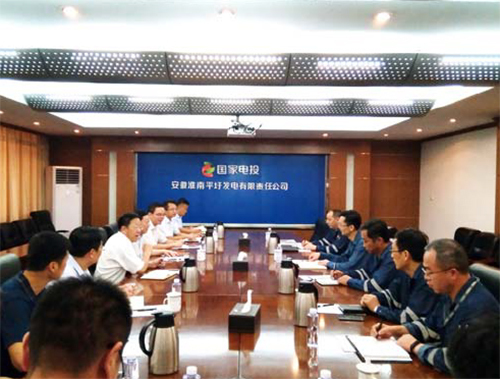 The three Pingwei Power Plants, all subsidiaries of China Power, are actively promoting heat supply projects in the Panji district of Huainan City. China Power also intends to expand its scope of operations by offering water and heat supply services, among others, in related industrial parks, extending its full support to the construction of economic development zones, as well as contributing to local economic development and facilitating investment in related industrial parks. These new service operations are slated to begin in 2019 and have received strong support from local governments.